I've been reviewing a lot of beauty products lately (there's more to come too! ), so this box kind of got pushed back a little (sorry you guys!). If you haven't seen my unboxing video yet, check it out here. I'm well aware it's not June anymore, but I couldn't just let this box go by without a proper review (after all, I did make a promise to you guys). So, without further ado, here's my review of the June Petit Vour box! Petit Vour curates an array of vegan and cruelty-free products for you to choose from, as well as a monthly box. Their subscription box is the perfect option for the eco-conscious woman on a budget. Costing only $15 a month in the U.S.A, ($23 if you live in Canada), this beauty box is a great deal for any woman looking to sample 4-5 generously sized products a month. It's a great way to decide which product is a hit or a miss without buying and wasting money on a full-sized item. Every brand they use is all-natural and carefully regulated, ensuring you only get the best of the best! Petit Vour never allows unsafe ingredients to be featured in their boxes. Here are the ingredients Petit Vour promised you'll never see in their boxes: BHA + BHT, Peg compounds, Parabens, Phthalates, Formaldehyde-releasing preservatives, Sulfates, and Triclosan. Relieved yet? Each box has some sort of theme (this June one was mermaid/summer themed and offered products that would help you connect with your inner sea-siren). You can choose from a bunch of subscription options too: The monthly plan (U.S.A. $15/ Canada $23), 3-month-plan (U.S.A. $45/Canada $69), 6-month-plan (U.S.A. $90 / Canada $138), and 12-month-plan (U.S.A. $180/ Canada $276). The monthly plan is a pay as you go, cancel any time subscription, apposed to the others which are prepaid subscriptions. I personally have the monthly subscription right now, but I can change it at any time. If you ask me, that's a pretty good deal! Why you want it: Not only does it truly smell like a green apple, but it's got a creamy, luxurious application that won't dry out your skin. My review: I've been dying to try something from Juice Beauty for a while now, so I was super pumped to get this in my Petit Vour box! Juice Beauty is known for their innovative skincare formulas that are created with certified organic ingredients. Most of their products have received many awards and acknowledgments in the beauty industry, so I was over joyed to receive a sample from their line. It's a good sized sample too, and the sample alone is already worth more than the complete box (the sample was $18 apposed to the whole box which was $15). The goal of this product is to protect your skin from damaging UV rays without zapping away moisture. According to Juice Beauty, it's also great for reducing dark spots, discoloration, and uneven skin tones. However, if you have extremely sensitive skin prone to rosacea, then this might not be for you due to the alpha/beta hydroxy fruit acids present. With that warning aside, this product is cruelty free and, according to Juice Beauty, formulated without any harmful chemicals, such as parabens, petroleum, propylene or butylene glycol, sodium lauryl sulfates, pesticides, phthalates, artificial dyes or synthetic fragrances. That sounds good in my book! All you have to do to apply the creamy white SPF is squeeze some into your hand and massage it into your skin before putting on your makeup. That's it. I must admit though, when I applied it, it was a little heavy for my skin. It made my skin feel a little oilier than usual, which I wasn't too fond of, but that was pretty much the only negative thing about this stuff. It does a great job protecting my face (I haven't gotten any sunburn on my face since I started using it), and it has a subtle but pleasing apple aroma (it's made with organic apples, after all). I'd probably have to keep using it in order to see if it evens out my skintone, reduces dark spots, and discoloration (thankfully I don't have too much of any of that), but I recommend giving this a go. After all, it's a safe alternative to most toxin-filled sunscreens that aren't necessarily designed for your face (and could make you break out - among other things). I'm not so sure I'd personally purchase this again (just because it's a little too heavy for my skin), but I'll definitely give other products from Juice Beauty a shot! Why you want it: It really does give your hair volume (without making it puff up like a balloon) - and makes it super smooth. My review: I already have an EVOLVh product sample (which is close to being finished, mind you), so I was excited to get another! The other sample I have, SuperFinish Polishing Balm, works so well that I just knew this one would too. EVOLVh thus far has not let me down - they're an amazing brand dedicated to making healthy products for your hair that actually work. They never use any harsh chemicals and are strictly all-natural (which you can see from the ingredients I list below). This particular product is designed to give you volume as well as thicken your hair. It helps prevent breakage and strengthens weak strands (an essential for my thin, almost-always breaking hair). I cannot tell you (unless you have thin hair too) how hard it is to give my hair volume. I've always longed for hair that had such vigor, thickness, and body, but never could attain it no matter how much product I put in my hair. While I won't suggest this product can work miracles, I will say it might surprise you (because it certainly surprised me). All I had to do was spray some of the water-based solution into the ends of my hair after getting out the shower, then work it in. I could've spritz some at the roots of my hair too, but I prefer to avoid adding products to my roots because my hair is very susceptible to retaining oil (which equals grease, ick). Automatically my wet hair became super soft (and it smelt great too - as though I had just gotten my hair washed at a fancy - but natural - salon). After brushing my hair and blow drying it, I instantly noticed a difference. My hair was thicker and had so much more volume - after only one use! Granted, it didn't last into the next day, but every time I add the product after I shower it produces consistent results that last throughout the entire day. 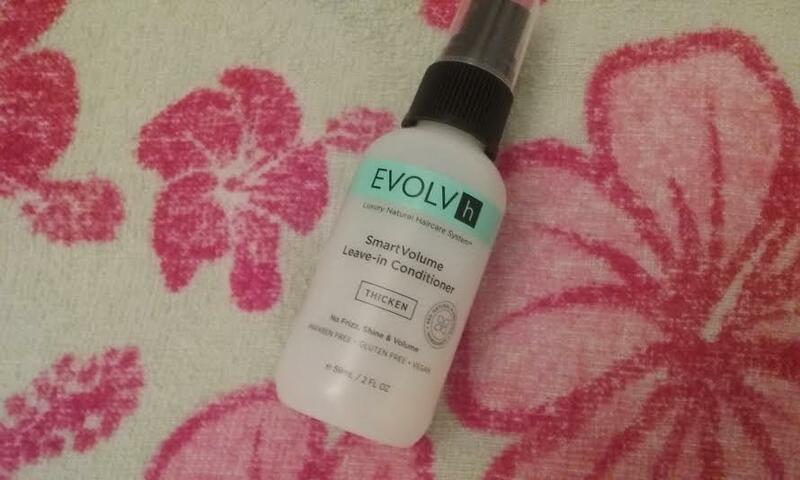 The best part is I can (and do) pair it with the other sample I have from EVOLVh (not received in the Petit Vour box) for increased volume and frizz protection. So, do I recommend this leave-in conditioner? Should you get it if you need or love voluminous hair? Will you adore it? Um, yes, yes, and more yes! Why you want it: You don't need to apply much for amazing color, plus it really does protect your lips from the sun (nothing worse than a lip-burn!). My review: I received two teeny tiny samples of Suntegrity's new lipsticks in two different colors - Sunburst Pink and Sable Shade. Funny story - I didn't see the Sable Shade for a while. It was buried in the box and I only noticed it after I posted my unboxing video to YouTube! I'm so glad I found it though, because these little guys are amazing. It came with an application brush and to be honest, these samples didn't look like much - each one is about the size of a dime - but don't let that fool you. The samples are packed with rich, pigmented color that really impressed me. Sunburst Pink is a cheerful but sultry shade of pink that's low key enough for every day use but bold enough to make a statement. Sable Shade is a light cocoa brown color that appears to be darker than it really is but instead adds a gentle, earthy sheen to your lips. I was surprised at how much I loved Sable Shade - I don't usually go for brown lipsticks - at all - But this convinced me I could pull it off! As far as application goes, I found Sunburst Pink to go on a little smoother and creamer than Sable Shade. Both had a different texture and feel to them - Sunburst Pink was a little looser, more moisturizing, while Sable Shade clung to my lips a little bit more and had more shine. For both, I simply used the application brush to add as much color as I wanted. I liked the fact I had so much control over how much pigment I wanted, considering I don't usually use lip brushes for lipstick application. Both lipsticks lasted pretty long without feathering or bleeding, which was great, considering it's summer and I'm used to makeup sweating off (*insert eye roll here*). They were also pretty moisturizing, especially the Sunburst Pink one, and they didn't dry out my lips. I also didn't get any lip-burns, which is one of the best parts about these lipsticks: They do double duty and protect you from the sun, relying solely on zinc oxide to do the job (and not harmful toxins). Completely gluten free, dairy-free, wheat-free, and non-GMO, this is a lipstick worth talking about, no matter which color you like best. Suntegrity also has other lip C.P.R. colors available, so make sure to check those out too if you don't think Sunburst Pink or Sable Shade would be a good fit for your skin. Otherwise, I definitely recommend investing in one of these lipsticks (your smackers will thank you). 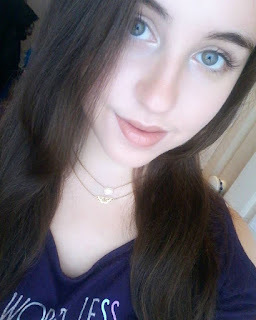 Me wearing the Sable Shade color. Me wearing the Sunburst Pink color. Other Ingredients: Persea Gratissima (Avocado) Oil, Caprylic/Capric Triglyceride, Vitis Vinifera (Grape) Seed Oil, Euphorbia Cerifera (Candelilla) Wax, Hydrogenated Vegetable Oil, Ricinus Communis (Castor) Oil, Polyglycerol Polyricinoleate, Mica, Ethylhexyl Palmitate, Phytosteryl Canola Glycerides, Phospholipids, Polyglyceryl-3 Diiostearate, Tocopheryl Acetate, Sodium Hyaluronate, Trihydroxystearin, Silica, Amorphophallus Konjac Root Powder, Simmondsia Chinensis (Jojoba) Seed Oil, Butyrospermum Parkii (Shea) Butter, Theobroma Cacao (Cocoa) Seed Butter, Tocopherol, Hippophae Rhamnoides Extract, Helianthus Annuus (Sunflower) Seed Oil, Stevia Rebaudiana Leaf/Stem Powder. May Contain (+/-): Iron Oxides (CI 77491), Titanium Dioxide (CI 77891), Iron Oxide (CI 77492), Iron Oxide (CI 77499). Why you want it: With such a unique earthy scent, this clay makes your skin feel great (and ultra soft) after each use. My review: It's super important to exfoliate and cleanse your face, right? Well this little gem does both. 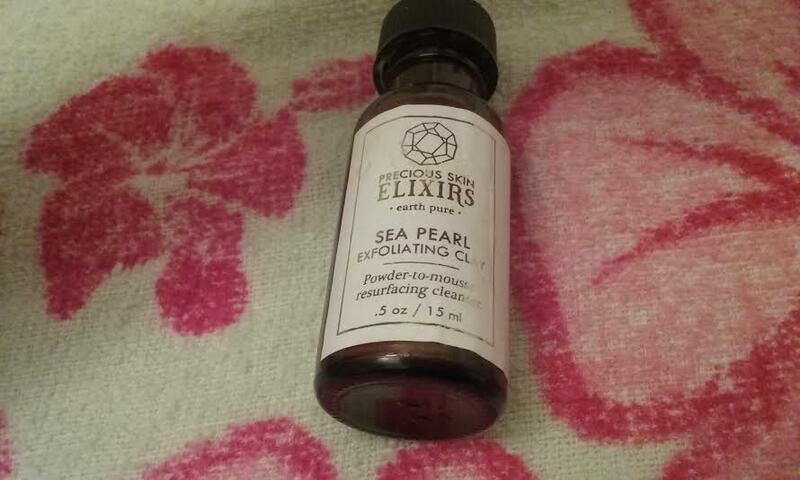 Made with only 11 all-natural ingredients, this Sea Pearl Exfoliating clay is an excellent way to buff away the day's hardships. It's great for getting rid of any leftover dirt and debris you might have missed on your face, but it's best for revitalizing your skin. I'm in love with the fact I only have to use a little bit of it for it to work. To activate it, I just sprinkle some (about the size of a quarter) into my palm, wet my finger, and rub it into the clay. This automatically transforms the dry, pale green clay into a wet, dull, dark green mixture. I apply it to my face with my fingers, rubbing it everywhere while avoiding my eye area. The coolest thing about this stuff is that I can also use it as a mask - I'd just have to apply it all over my face, leave it on until it dries, then rinse. If I just want to use it as a scrub, I use it after cleansing my face with my favorite cleanser. While I could use this clay to cleanse my face (and trust me, it does get grime off ), it's not ideal for sensitive areas, like around the eyes. I mainly use eye makeup, so I need to use a more gentle cleanser for them. This clay scrub is mainly an exfoliate, after all, and shouldn't be used on a daily basis (apposed to a cleanser) because it could irritate your skin. Regardless, it does an amazing job - after I massaged it into my face thoroughly and washed it off, I was amazed at how soft my skin felt. My hands literally glided over every nook and cranny of my face twice to make sure I wasn't imagining things. 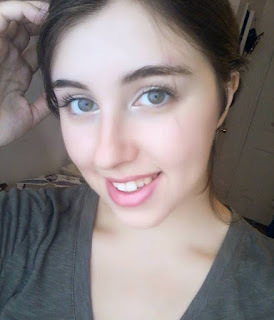 I did have a little bit of a glow afterwards too, which was nice because it made my skin feel more vibrant. So, if you're looking for a new exfoliating cleanser that can double as a mask, consider splurging on this one. After all, who doesn't love a three-in-one product? 2) I got a kick out of the mermaid/summer theme this month and can't wait to see the next one. 3) All the products were from top quality brands and had no ingredients that left me disappointed. 5) Not one item in this box is going to waste - I truly adore them all. 6) Every product did exactly what it said it would. 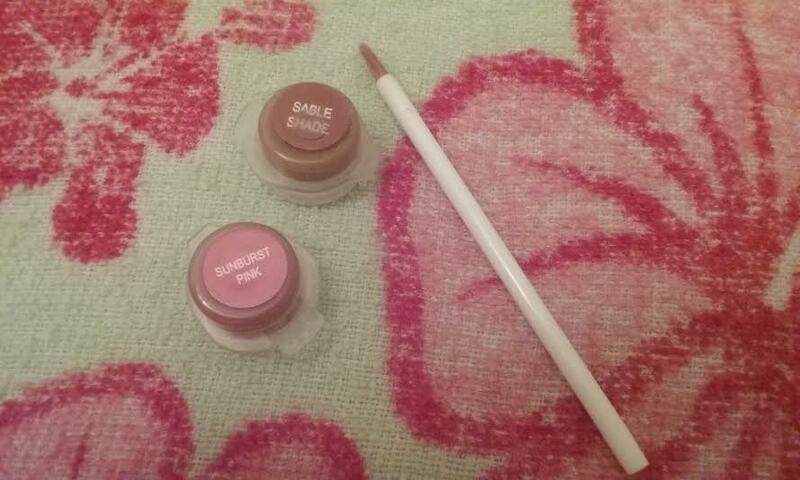 7) I really really loved Sunburst Pink and Sable Shade - they were my favorite samples out of all of them! 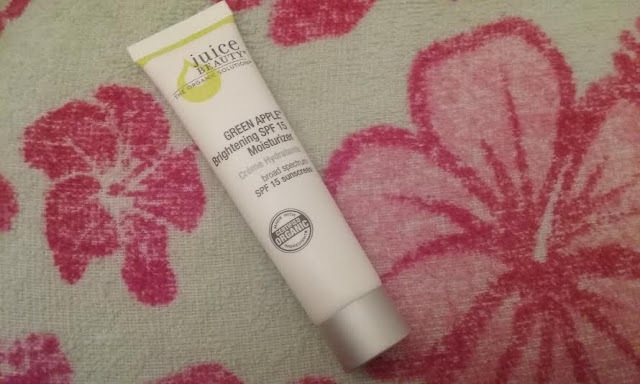 1) The Juice Beauty Green Apple Brightening SPF 15 Moisturizer was a little heavy for my skin and caused it to look more oily than usual. 2) I didn't notice the Suntegrity Sable Shade lipstick sample right away - but that's more my fault than Petit Vour's! 3) Most of the items at full-size are kind of pricey. 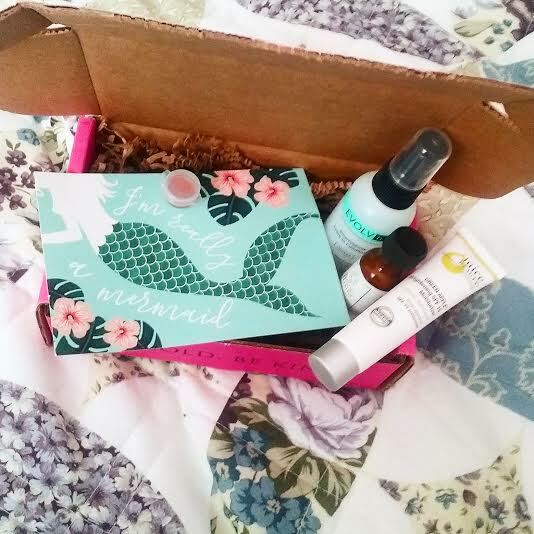 Conclusion: I really recommend giving this green beauty box a shot - you never know what awesome samples you'll get and you may be surprised at what you like! If you'd rather just purchase one of the items from this box, feel free to do that as well. Either way you can't go wrong with any of these selections, but I would advise saving up before indulging on some of the pricey full-size items. Out of all of the samples, my favorites had to be the lipsticks - I can definitely see myself purchasing them in the future!